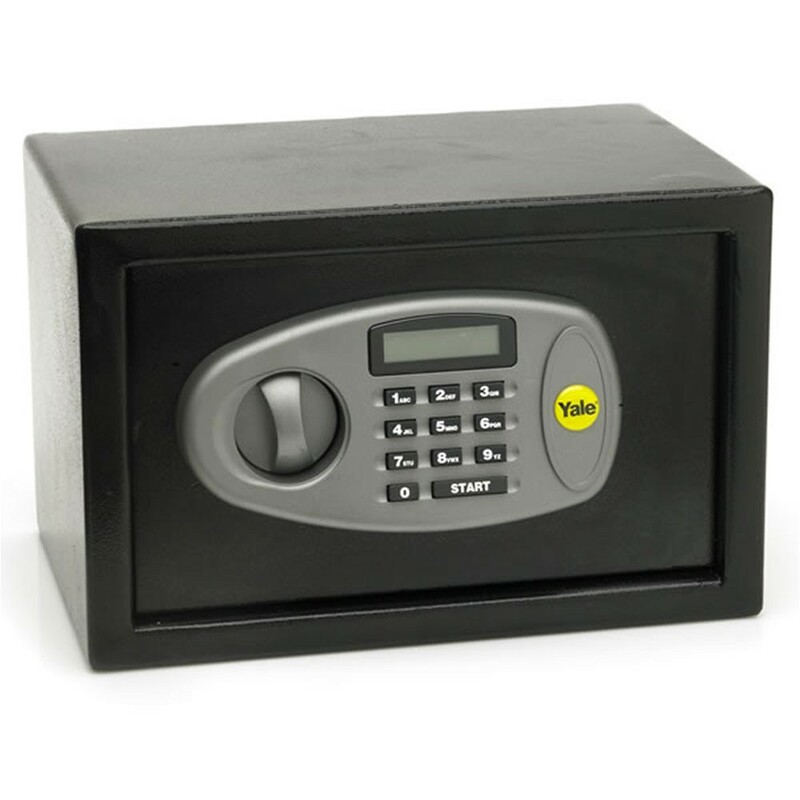 The Yale small electronic safe is steel safe with a simple to operate and programmable digital keypad. Its interior is lined with soft material to prevent damage to contents and has pre-drilled holes with fixing bolts for permanent fixing to wall or floor. 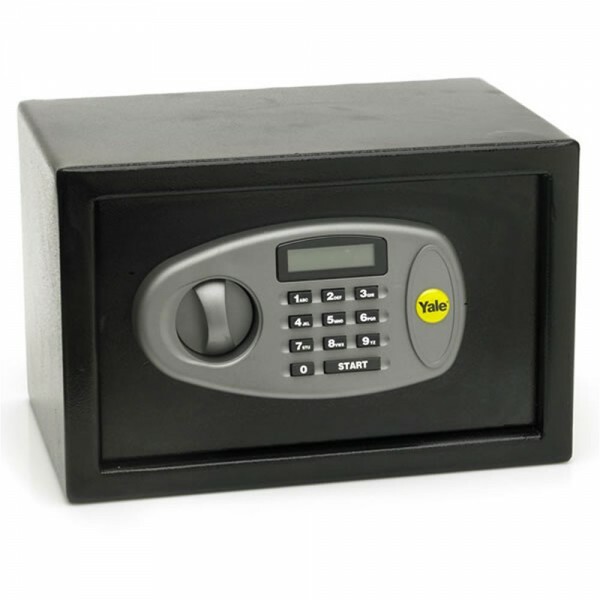 The Yale small electronic safe is supplied with 2 manual override keys and includes user code and master-code function.